3pcs prawns and 4pcs vegetable tempura. 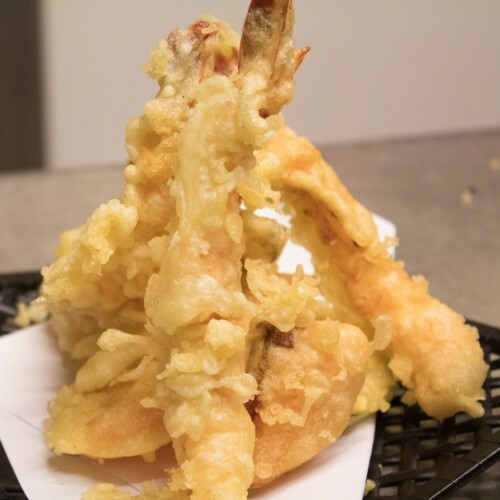 Tempura prawn, avocado, mayonnaise and topped with tempura crunch. ..
v 5pcs deep-fried or steamed vegetable dumplings. ..